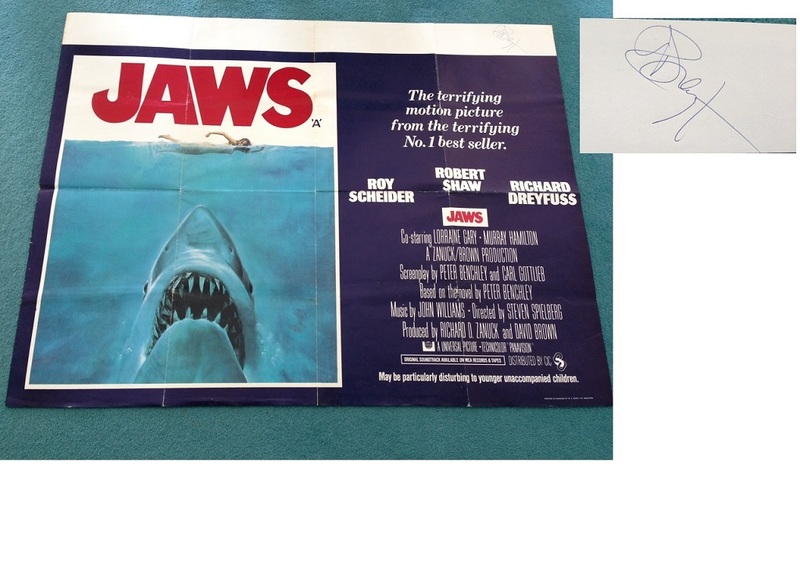 JAWS rare HUGE UK QUAD poster signed by Richard Dreyfuss! An incredible (Huge 40" x 30 " !!!) poster for the movie JAWS , signed by Richard Dreyfuss in Malvern, UK. A real one of a kind ! This poster was signed IN PERSON BY RICHARD DREYFUSS at a play Malvern called "The Prisoner of Second Avenue". In fact, it was a bit of a bad experience because he was not particularly happy with people standing by the stage door ( half a dozen people were waiting for him before the play started). Dreyfuss came up to the stage door with his hand held up saying "no photos, no photos!". He signed a couple of programmes for people - really quick. The collector blocked his way by standing in front of the stage door and said "Mr.Dreyfuss would you sign my original Jaws poster for me , please?". He looked at the collector and sighed loudly. 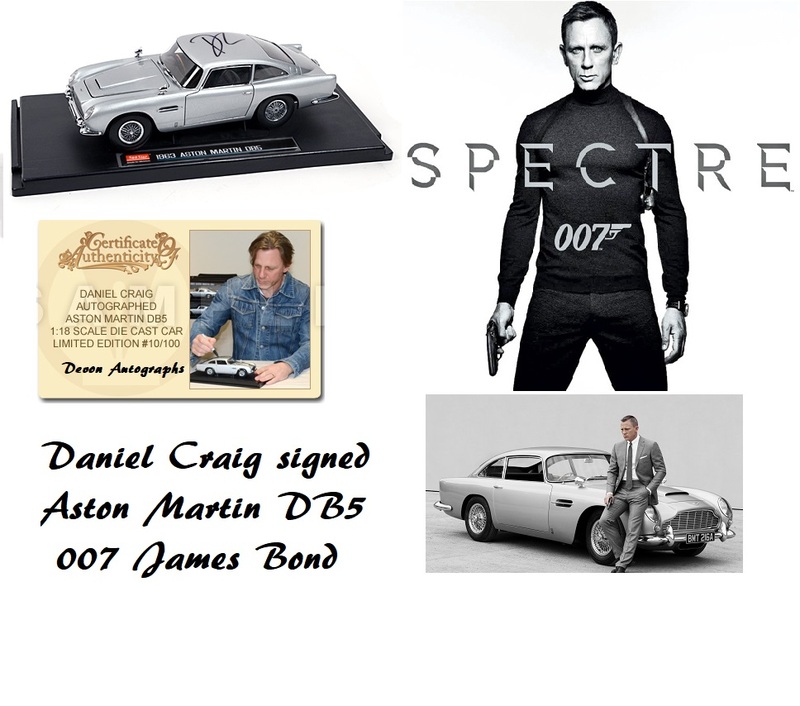 Then he took his pen and carefully signed the top right hand corner with a neat excellent signature. He then rushed into the theatre. Very lucky to have obtained this. This is a genuine in-person signature with provenance.